Why is Chicago called the Windy City? It was far from windy when I was there last weekend. I had only gorgeous weather. Pure luck? Maybe. 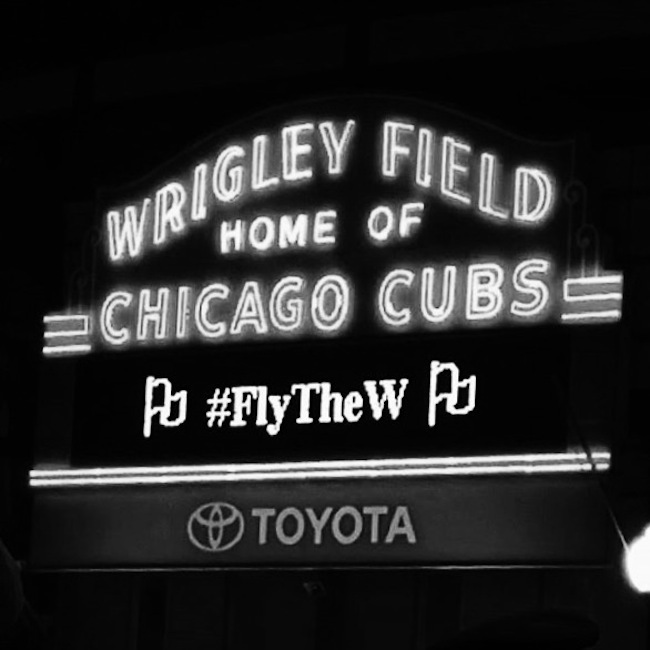 If the weather was bad then I'd probably not be saying this…I heart Chicago! I was really impressed by this city. It has a similar up beat vibe to NYC, beautiful architecture, modern art, colorful people, and eclectic neighborhoods that keeps the energy flowing and gives you endless things to do. There are very few places in this world I would say I could live in, and Chicago is one of them. Not like I'm moving or anything. Just saying! I did soooo much in three days. Checked everything off my list, and felt very accomplished when I left. Many things were walkable from where I stayed. Otherwise there were plenty of taxis, uber on call, and their train was a blessing to escape city traffic during the Chicago marathon last Sunday. So just like NYC they've got a good public transportation system, that overall is easy to navigate, and you don't need a car. Hence why this city girl loved Chicago! This city got a WOW out of me upon arrival at O'hare airport and kept my euphoria high till departure. O'hare is the most beautiful airport I've ever been in! Won me immediately because of this tunnel to baggage claim that looked like a Pantone paint chip box with a light show and music to accompany it. Hopefully you arrive in the same terminal and get to experience this magic. Be camera ready! It's free! It has amazing tiffany stained glass domes, and a common room that will show you how lanterns should be hanged, with marble walls covered in hand cut stenciled wall paper. Drop by, view the art and chill. Love the mix of old and modern. I wish my house looked like that! This park has so much to offer and looks totally different day and night. So if you can I recommend you visit two times to see it in different light. The Bean. This is what Chicago is famous for. No doubt it's awesome, and is a sculpture not to be missed. No idea how they keep it so shiny though! This silver bean catches reflections of the city from all different angles. You need to walk under it to to notice how everyone gets warped and looks like a Salvador Dali - ish painting. A mad house during the day, less at night, but never quiet, so be prepared to fight the crowd to catch a shot of your reflection in the bean. I loved this and could sit and watch it all day! It's many things. 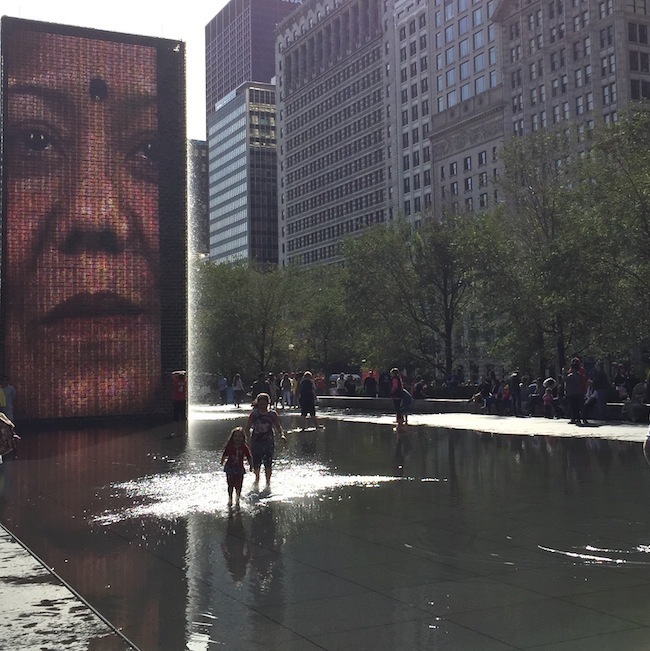 A water fountain, reflecting pool, and children's play ground. But the main feature is the LED video interactive show. Faces of different people, gender and race that keep switching images and pop up on the screen. Interactive because they wink, close their eyes, open their mouths, and periodically water shoots out of their mouths! It's FUN. This concert hall is a work of art. Designed by Frank Gehry. This would bring me back to Chicago in summer time just to experience a concert here, under this band shell of steel on the great lawn over looking the city skyscrapers. The best thing in this museum is the stair case. It's a work of art on it's own. The other exhibits are interesting too. It's not a big museum, so don't expect to get lost in there for hours. Walk along the promenade by the water or catch a boat ride. I didn't do the boat ride. To be honest this was the least impressive thing to me. But I walked by it quite a few times, so got many shots of it! At the top of Willis tower on the 103rd floor, 1353 ft high you can catch amazing views of Chicago. If your brave enough you can also stand on a glass floor. You'l be tripping up there! Their equivalent of Soho in NYC. 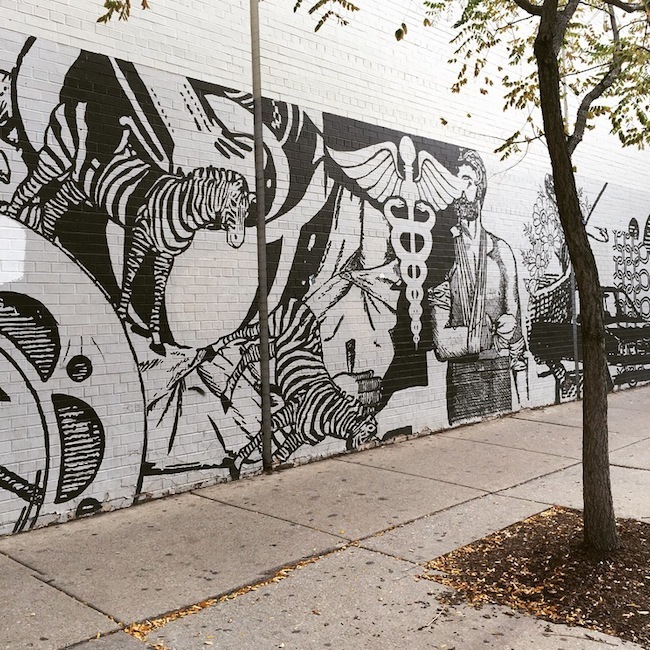 A trendy hood, with many shops along Milwaukee Street, thrifty designers, and great walls covered in artistic graffiti. This neighborhood is their Meat Packing district. Many restaurants along Randolph Street. Not really a place to shop. 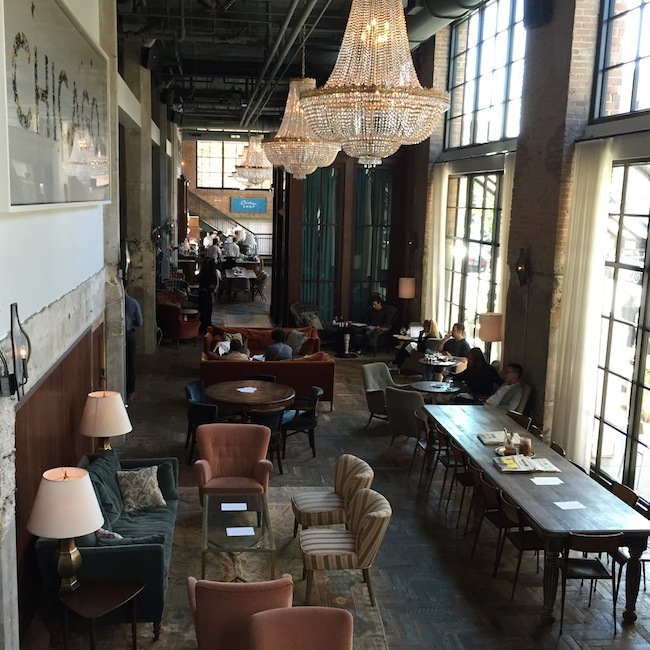 But you must drop by the Soho House. I fell in love with this hotel. I must stay here the next time I'm there! The decor is amazing. Check ahead and go catch a baseball game! I didn't plan properly, and expected there to be a game on Sunday, my last night, but there wasn't. So no game for me to experience. BOO. But even though there was no game on I still wanted to check it out. Took the red line train out to Addison St. stop, and found out there is life in the hood irregardless of a game happening. Many sports bars and restaurants, so it wasn't a total waste of a trip! 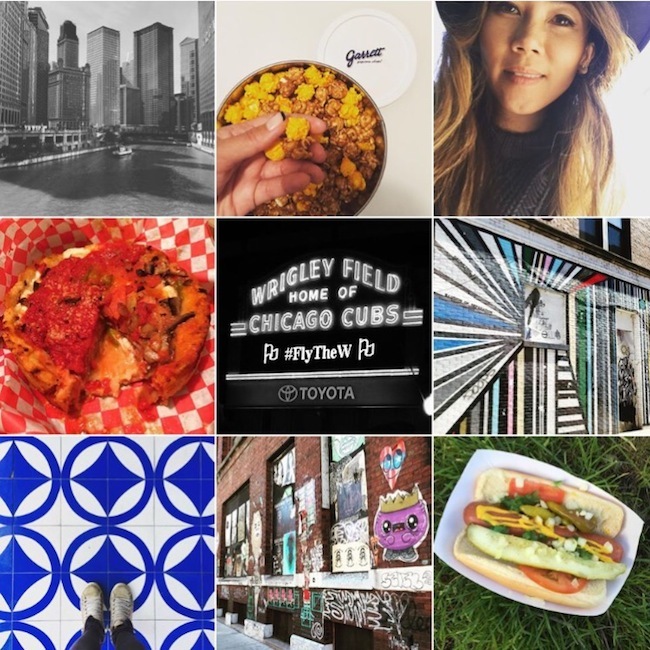 You must try the local faves to say you've been to Chicago! This is street food you can find at the park and many more places. Be on the look out for it. If you miss it, you will find it in the airport guaranteed! Famous for their cheese corn and caramel crisp popcorn, known as the Garrett mix. The sweet and salty taste blended together is addictive. Perfect gift to bring home! Fresh donuts all day. Gluten and vegan free options available. I'm not a health nut so went with the full on chocolate whiskey cream donut with peanuts on top. GUILTY pleasure. Go early because they're known to sell out before their usual 2pm closing time. I went for breakfast and there was a short line at 9am! 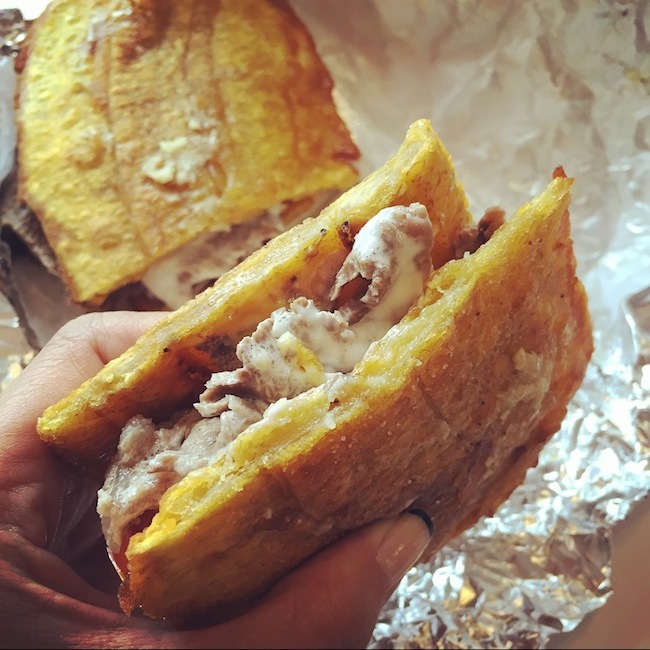 I trekked it out to Humboldt Park in a Uber car just to try this Steak Jibarito sandwich! They say it's Puerto Rican. Steak drizzled with a garlic white sauce between two slices of plantain. Oh em gee it's the bomb! HEAVEN. Highly recommend you try if your a foodie. I've never had that before, nor ever seen it served anywhere in NY. Now I know...I'm on a hunt! To be honest their tiled floor outside drew me into this restaurant! Standard Italian fare you can't go wrong with, in a chic setting like you would find in a NYC cafe along Madison Avenue. Great brunch spot. Pizza's look good too, but note it's not deep dish pizza they serve. It's gourmet thin crust pizza which is way better then deep dish anyway! But I did refuse to try, because if I had to pack on the carbs I had a mission to try deep dish, so was disciplined enough to hold out. However I fooled myself because ended up ordering the lasagna instead! Just as fattening, I know, but delicious with lamb mixed into the ragu. 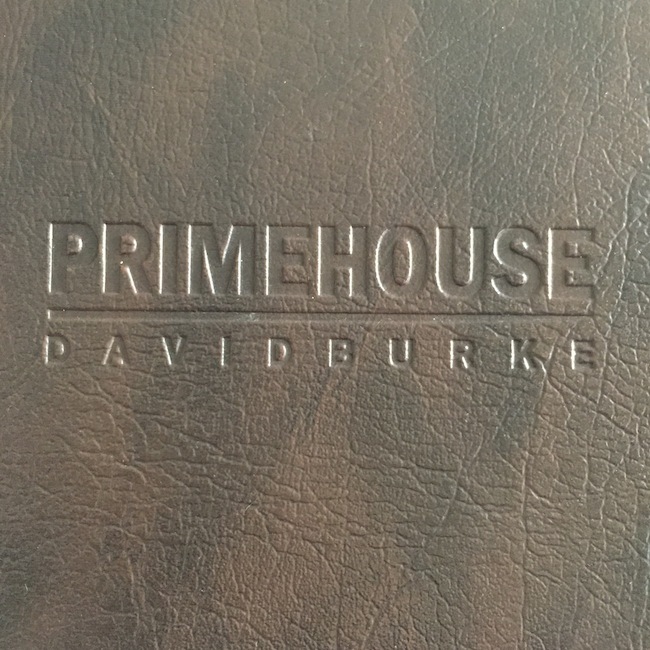 For all you steak lovers you can't go wrong with a David Burke restaurant. Didn't have to try it to know it was good! This restaurant was in The James, so every time I walked through the lobby side entrance I could smell the steaks and see people devouring their T-bone's that looked super yum. 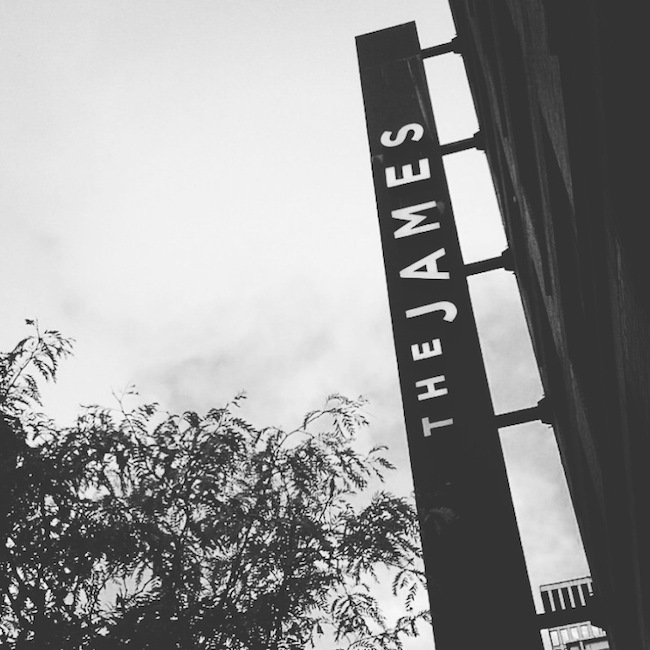 Stayed at The James, a modern and intimate boutique hotel. Checked in well before the 3pm check in time. Dropped my bag, grabbed a map and headed straight out! They called me at 12pm to tell me my room was ready, but I was gone and in no rush to get back! But that just shows their personal service is attentive. The hotel location was perfect, in the Magnificent Mile area, a block away from Michigan Avenue, and a 15 minute walk to Millennium Park. Right in the heart of the tourist attractions, which is convenient for your first visit if your going to be checking out the same attractions I did. Plus they're dog friendly…even though Eddy did not join me this trip. I needed a break from everyone! Shopping is something I didn't do. But for you shopaholics there is plenty of malls and designer boutiques along Michigan Avenue. The Michael Jordan statue is another miss. But that would be good to do the next time I come back with my kids who would enjoy seeing that and a baseball game more then I would. 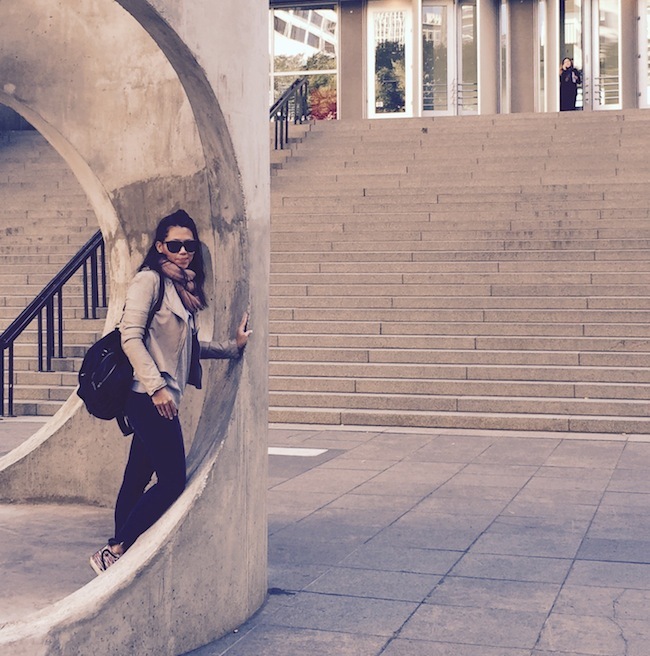 It is a great city for kids too, so bring the kids along if you can't escape alone. 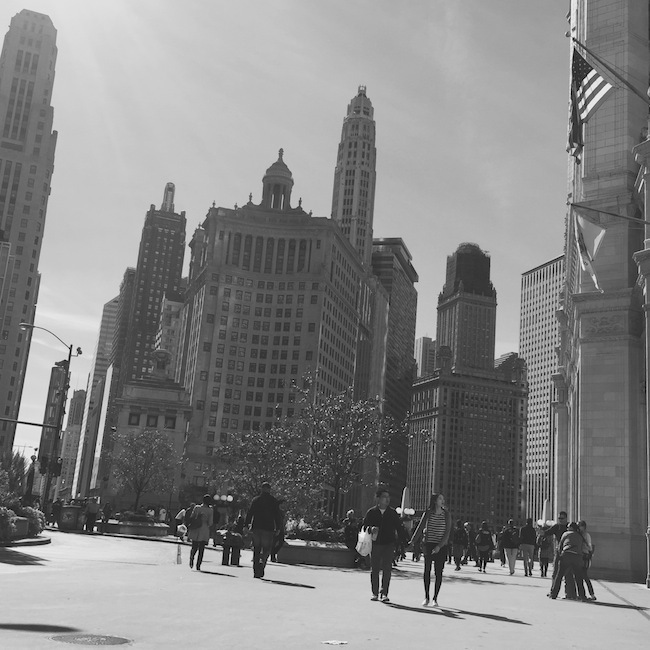 All it takes is a weekend in Chicago to fall in LOVE. It's a no brainer...pack your bags and go! Let me know how this hit list works out for you.